Unpopular opinion: The base Corvette Stingray is better than the Z06. Hear me out. The 460-horsepower LT1 engine is plenty, and works really well with the standard car’s chassis – the Z06 just feels like total overkill by comparison. 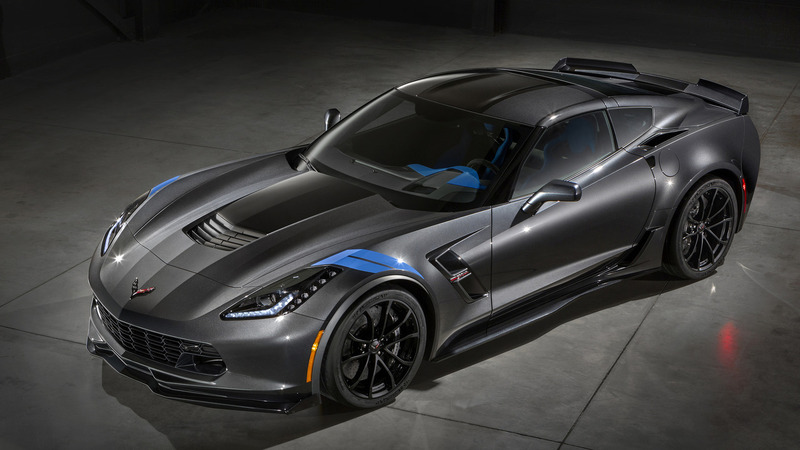 This new Grand Sport, then, should prove to be the real sweet spot of the range, using the base Stingray’s V8 with a host of Z06-esque aerodynamic and performance upgrades. Plus, we now know it’ll cost $66,445, which may be $11,000 more than the base Stingray, but it’s a full $13,000 less than the supercharged Z06. With the Grand Sport, you get new front fenders, a wider track, a wide body kit, an aero package for added downforce, an upgraded cooling package, an electronic limited-slip differential, and Michelin Pilot Super Sport tires. If that doesn’t sound good enough, Chevrolet will also sell you a GS with the Z07 package, which adds outrageously grippy Pilot Sport Cup 2 tires. Chevy says the standard Grand Sport’s upgrades are enough to allow the car to pull up to 1.05 Gs of cornering force. The Z07 pack ups that to 1.2 Gs. That’s serious stuff. It’s no slouch in a straight line, either. The Grand Sport Z07 will allegedly run a 0-60 time of 3.6 seconds and can rip off a 11.8-second quarter mile at 118 miles per hour. You’ll need the eight-speed automatic transmission to run those numbers, though – Chevy hasn’t released performance specs for the seven-speed manual-equipped car. You can have all that with the wind in your hair, too – the Corvette Grand Sport Convertible starts at $70,445. A Heritage package includes hashmark fender graphics, and a Collector Edition (pictured above in Watkins Glen Gray with blue accents) will be available later this year. It’s unclear if that car will carry any special price premium. Look for the Grand Sport models to arrive at U.S. dealers in the summer. If you’re considering a Z06, trust us, you'd be smart to look at this Grand Sport. It should be a real honey for those who can get behind the idea that less is sometimes more.